As the name implies...we sell it all. 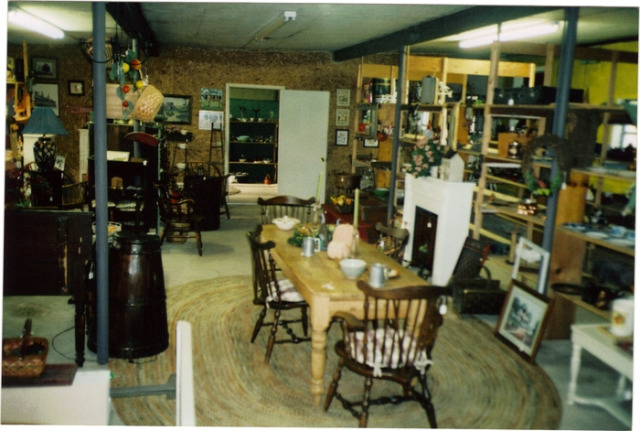 Stop by the Caboodle Barn on a regular basis for a unique array of Antiques, Crafts, and Custom Farm Tables and Chairs. Inventory is constantly changing. Bob and Linda Collins grew up in the country and still believe in the simple pleasures in life. They invite you to visit their farmstead, step back in time and discover the hidden treasures of yesteryear. Customer Service is alive and well at the Caboodle Barn. Located on Rt. 191, 4 miles south of Honesdale at the junction of Middle Creek Rd.